Personalized Wedding Cake Toppers, sculpted to your specifications to crown your cake and serve as a treasured keepsake of that most magical day! Individually handmade, these cake toppers are permanent miniature pieces of art made from clay and are kiln fired to 2000 degrees. Let us know the details of what you wish to incorporate, if there are any special items or theme. Occupational, hobby, sport, favorite food or anything else you wish to include. Be inspired by viewing many past examples of cake toppers here. 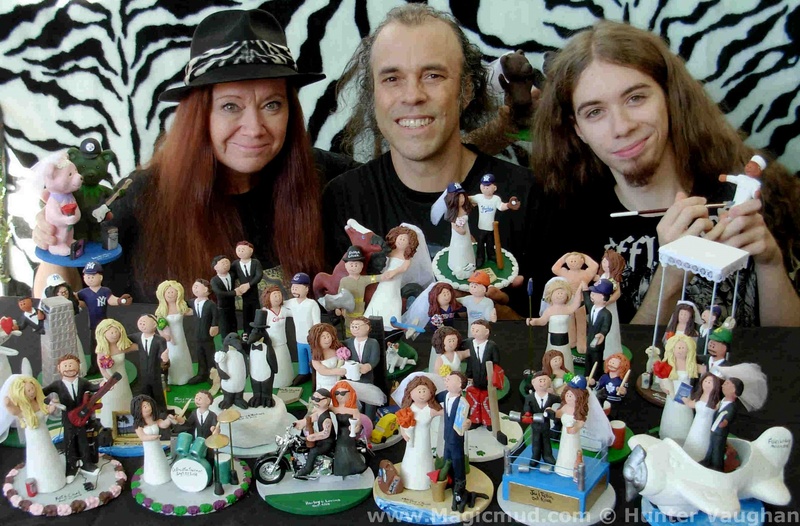 We have been creating Personalized Clay Figurines, Custom Wedding Cake Toppers, Clay Caricatures and Corporate and Art Sculptures for over 3 decades. Call 1-800-231-9814 to speak with the artists Hunter, Lois and Jupiter Vaughan. e-mail us with your concept. 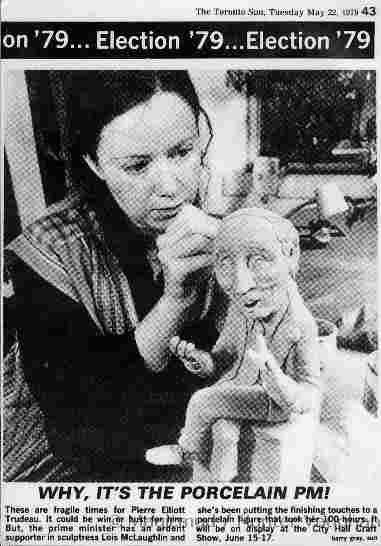 We will create your custom sculpture for you. 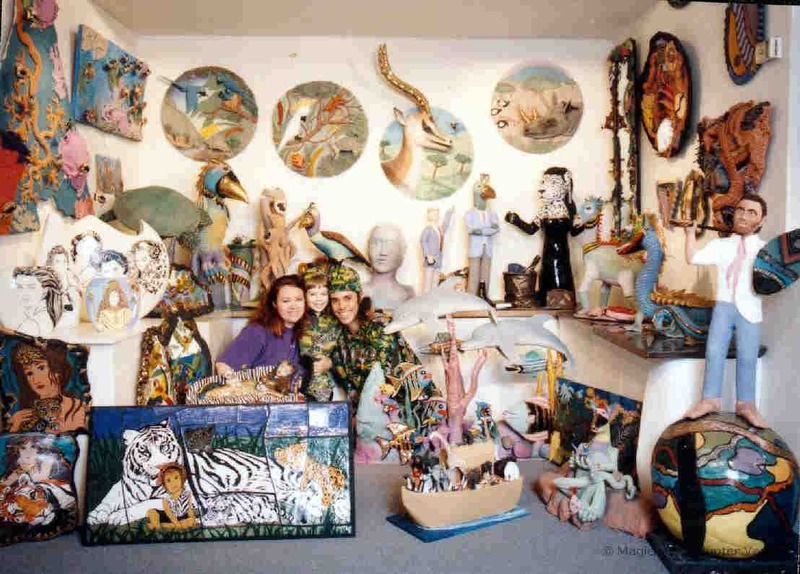 Murals, sculptures, aquatic art etc. �2013 Hunter Vaughan, All Rights Reserved. No images on this site may be used, in any form, without the consent of the artist.